Victorian inspiration meets laid-back style on this long-sleeve top. Victorian inspiration meets laid-back style on this long-sleeve top. 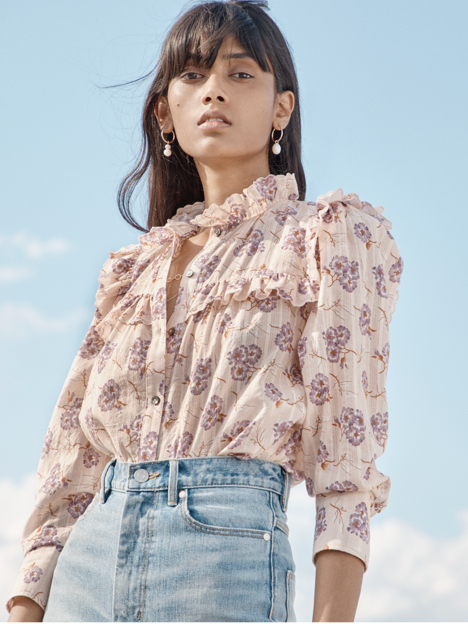 Its statement silhouette showcases delicate pinstripes, our signature puffed sleeves and ruching down the front that can be tucked into denim, trousers or skirts.